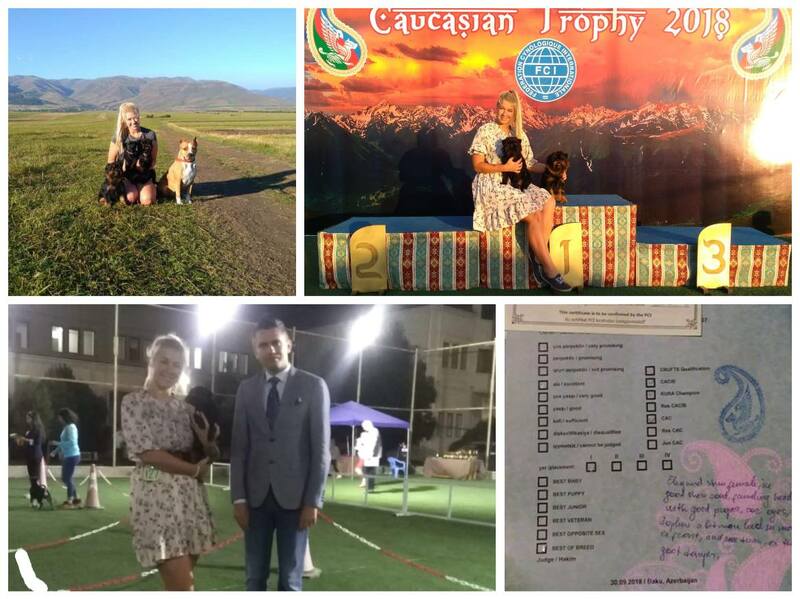 International Dog Show in Bakuu, Aserbaijan! Whoop de Wooo….show weekend is ower with great results. Griffon Belge Whoop De Woo Don Piccolo “Piccolo” got 2 x CAC, 2 x CACIB and was 1 x BOB, 1 x BOS. Petit brabancone Whoop De Woo D’Amico Paola “Paula” got 2 x CAC, 2 x CACIB and was 2 x BOB. They both are now Champion of Aserbaijan , Grand Champion of Aserbaijan, Champion of Caucasia and Champion of KURA. Griffon Belge Whoop De Woo Cobby Colonel “Mustikas” got 2 x CAC 2 x res.CACIB. Now he is Champion of Aserbaijan and Champion of Caucasia. Special thanks to handler Nelly Bander! 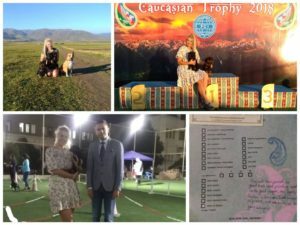 International Dog Shows in Telavi, Kakheti, Georgia!